Winners Positions is a strategy that favors a trend which opens a position the same as the previous profitable trade, and it opens a reverse position from the previous losing trade. Losers Positions is a strategy against a trend that opens a position in reverse from previous profitable trade, and it opens a position the same from the previous losing trade. Master Breakout is a strategy that executes Buy when the current price is above the resistance level and Sell when the current price is below the support level. Extreme stochastic Xover opens a buy position if the signal line crosses over base line below the value of 30 and open a sell position if the signal line crosses above base line above the value of 70. Current open trade is Buy, if it hits the take profit point the next position is Buy, if it hits stop loss the next position is Sell. Current open trade is Sell, if it hits the take profit point the next position is Sell, if it hits stop loss the next position is Buy. Current open trade is Buy, if it hits the take profit point the next position is Sell, if it hits stop loss the next position is Buy. Current open trade is Sell, if it hits the take profit point the next position is Buy, if it hits stop loss the next position is Sell. Closing of Trade is Take Profit and Stop loss Point. MaxSpreadPips - distance between Ask and Bid you allow the EA to open a trade. StoplossPips - set a Stop Loss limit relative to the opening price. 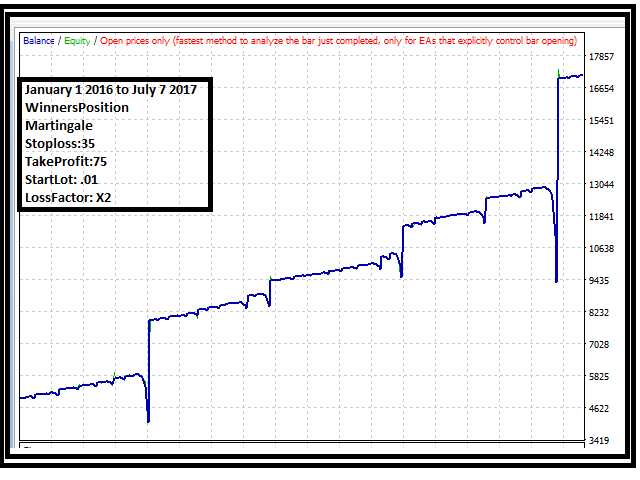 TakeProfitPips - set a Take Profit limit relative to the opening price. FixedLot - fixed lot per trade. Martingale Start Lot - initial start lot of martingale. Martingale Loss Factor - multiplier value of lots if the last trade is lost. Hour Starts - hour starts to open a trade. Hour Ends - hour ends to stop opening a trade. Martingale Restart after consecutive losses - Lot size will restart if consecutive losses is reached. Support and Resistance Period - the period of bars the line of support and resistance will base its value from the current bar. CustomMaxlot - Customized value of lot you set for maximum lot size. Comments - If you want to add a comment on your position. For more questions and suggestions, you can email me at geniebulltrader@gmail.com or private message me here at MQL5. Thank you! Made changes to the code to maximize the speed of trade execution. 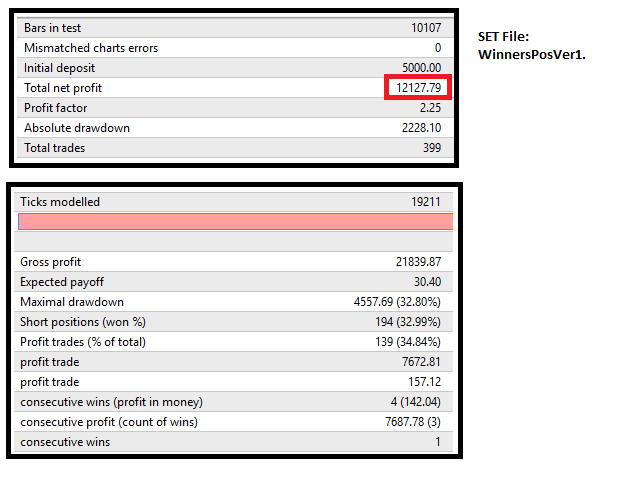 [-] Deleted Auto position in Positioning strategy parameters. [-] Deleted position sizing in money management. [+] Added Extreme stochastic Xover position strategy that opens a buy position if the signal line crosses over base line below the value of 30 and open a sell position if the signal line crosses above base line above the value of 70. [+] Added parameters: "Martingale Restart after consecutive losses", "Support and Resistance Period", "CustomMaxlot", "Comment". I added another two options on positioning strategy. Auto Winners/Losers - positions Winners and Losers automatically. Elemental BreakOut - market execution on breakout. I added time and day filters. HourStarts = Hour starts to trade. HourEnds = Hour ends to trade. TradeMonday = Trade on Monday. TradeTuesday = Trade on Tuesday. TradeWednesday = Trade on Wendesday. TradeThursday = Trade on Thursday. TradeFriday = Trade on Friday. TradeSaturday = Trade on Saturday. TradeSunday = Trade on Sunday. I also set the minumum stop loss and take profit to 5 pips from the previous 10 pips.